this is what i wore today with my celine boston and plain black flat shoes. 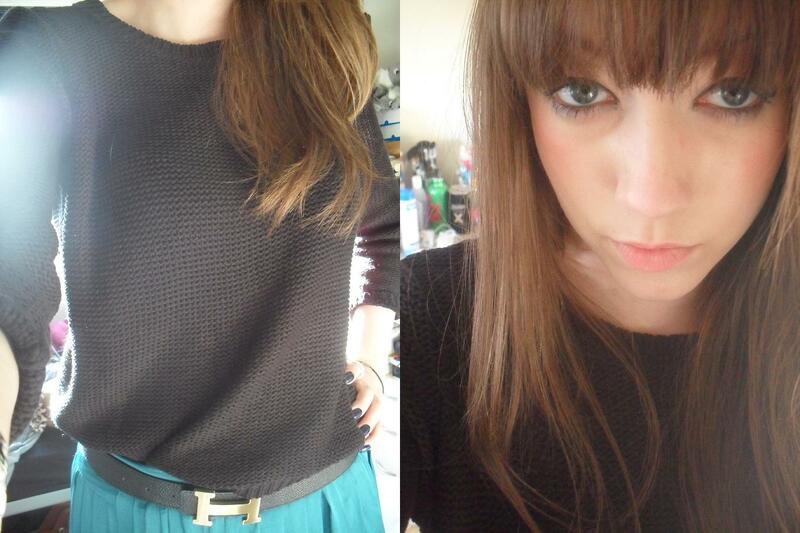 this is fast becoming my favourite jumper, the knit is perfect and it’s warm enough to be worn alone. i went to university this morning, followed by lunch with a friend who i used to work with which was lovely. i boycotted the gym in favor of eating an entire pizza and did not regret that decision one little bit. topshop have a 20% off student night tomorrow so i’m going to go there with friends from uni and then meet up with another friend when she’s finished her lessons. i’ve got my eye on a coat and a pair of high waisted black jeans. hopefully i won’t get too annoyed with people grabbing anything they can find like it’s going to disappear if they don’t. it’s 20% off, people, not the end of the fashion world.